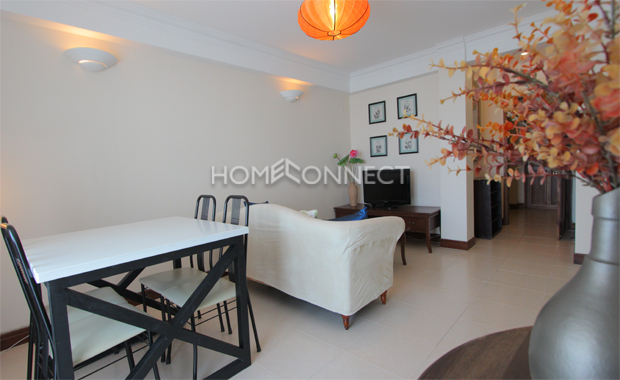 This cozy district 1-HCMC apartment for lease is a warm offering spread out on 90 square-meters of bright ceramic tile flooring. 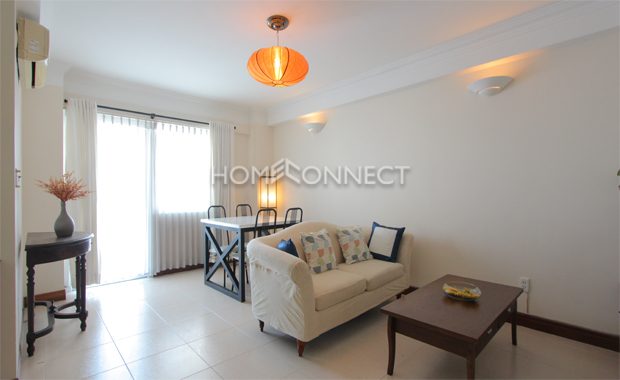 Beautiful local art hung on white-washed walls complement this low rise unit holding two bedrooms, two bathrooms, and a balcony. 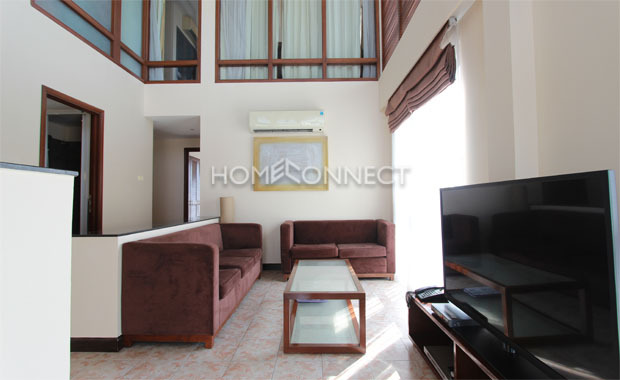 Fully-furnished, it comes with both movable and built-in furniture like the sofa and entertainment set in the living room, desks and chairs, and wardrobes and different size beds in the bedrooms while the bathrooms are fitted with quality fixtures. 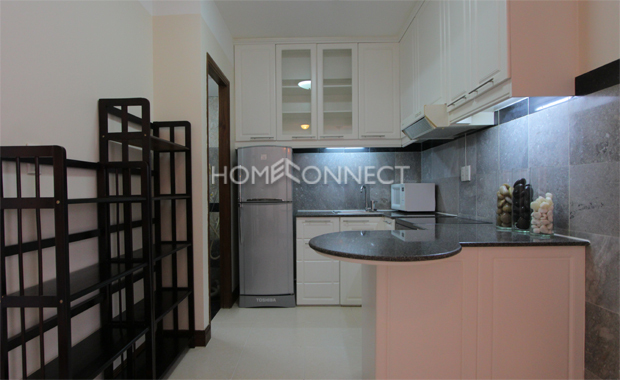 The kitchen is fitted with cupboards, cabinets, drawers, countertop, double sink, backsplash, stove, oven, hood, microwave, and refrigerator. 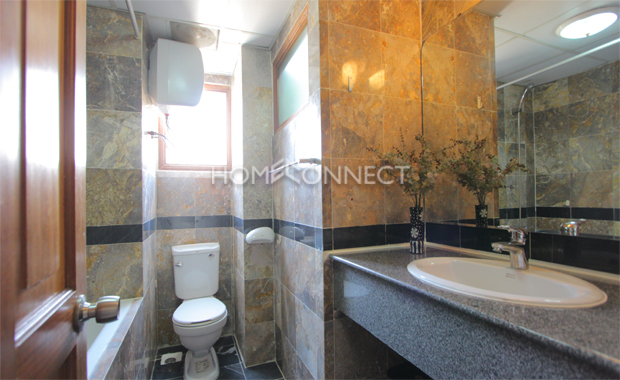 Facilities in include parking, swimming pool, terrace and fitness facility. A round-the-clock security rounds up the amenities in this locale. 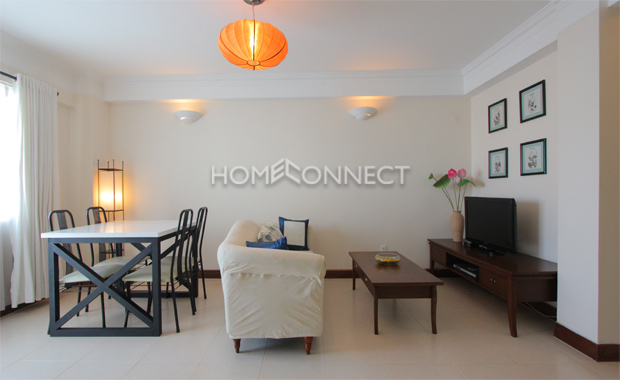 Location of this cozy district 1-HCMC apartment for lease is minutes away from many shopping malls, tourist attractions, parks, restaurants, pubs, disco clubs, coffee house, spas and many more.